Cow rescued from water reserve – Firemen were called to the hills around Montesquieu-des-Albères on Wednesday morning because a cow had fallen into an open water reserve (smallish basin of water for fire-fighting) and was trapped, with just her head above the water. The basin had to be partially drained before the cow, weighing several hundred kilos, could be winched to safety. When salad isn’t the healthy option – Chicken Caesar salad distributed in 7 McDonald’s restaurants in the P-O has been found to contain the Listeria bacteria. The incubation period is up to 8 weeks, so if you ate a salad at McDonald’s between 9th and 14th July and you develop a fever accompanied by headaches, you are advised to contact your Doctor. 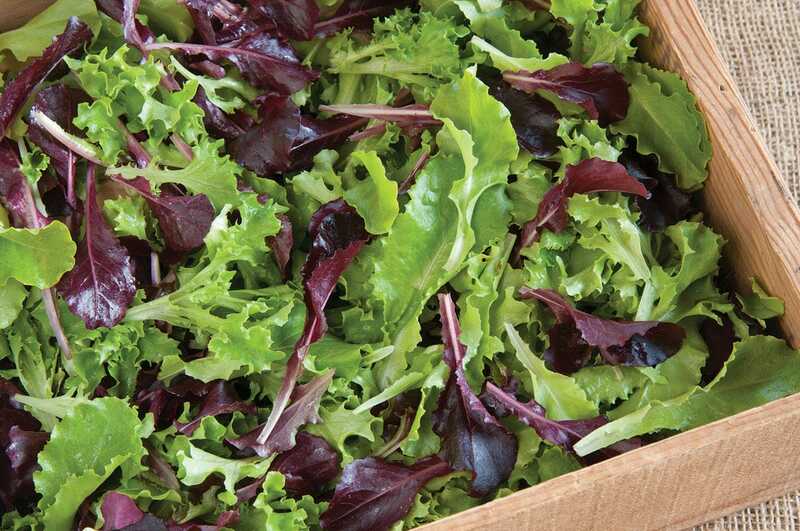 In an attempt to reassure the public, the suppliers (Florette in Torreilles), state that the salad is firstly plunged in a chlorine bath before being rinsed with 18 litres of water per kilo of salad. Mmm, tasty! Drunk man with fake Kalashnikov – In the early hours of Sunday morning a tourist spotted a shirtless man with blood on his face carrying a Kalashnikov assault rifle! Using all his survival skills and basic instincts he hid in a bush and called the police. The Rambo lookalike attempted to run before throwing down his weapon and submitting to the arrest. The weapon turned out to be a plastic replica –but the man could not be questioned until several hours later as he was so drunk. He later apologized, said he was acting under the influence of alcohol and was carrying the fake gun in an attempt to intimidate a group of men with whom he had had an altercation earlier in the evening. He will appear in court in October. 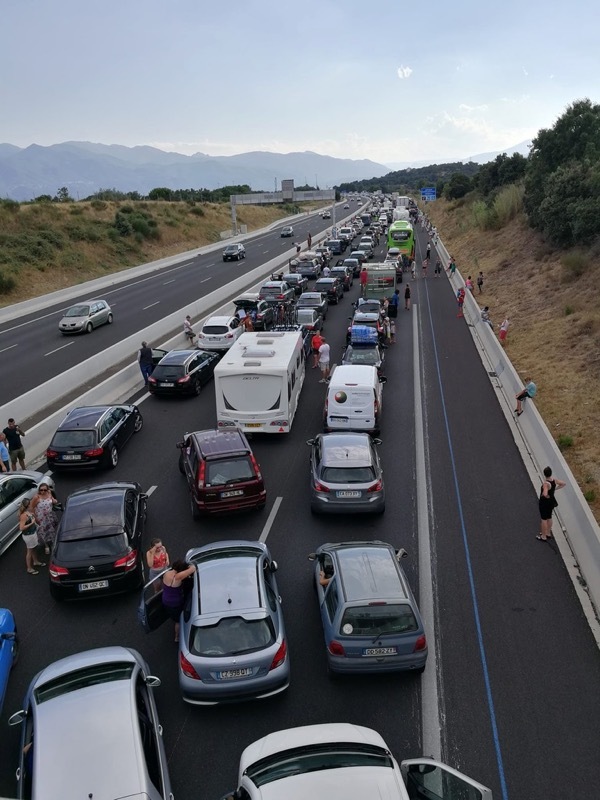 Traffic chaos on Friday afternoon – The A9 motorway between Le Boulou and Perpignan was brought to a standstill when a lorry carrying fruit blew a tyre, overturned and caught fire. Emergency services soon dealt with the fire, but traffic was blocked in both directions for several hours. Teams from Vinci Autoroutes delivered fresh water to the motorists who were caught in the 17km of traffic jam, and cars were finally able to start moving later in the afternoon. Traffic chaos on Saturday afternoon – Just when you thought it was safe to go back on the motorway, a fire in the region of La Jonquera forced authorities to close the A9/AP7 again for several hours and traffic was forced to exit at Le Boulou. Tragic death in Canet – A 17 year old boy was found unconscious on a buoy just 50 metres from the beach at Canet. Rescuers tried to reanimate him by performing cardiac massage, before he was transported by helicopter to Perpignan hospital, where he died an hour later. The cause of death is so far unknown. Red, white or blue? This could soon be a question posed by the wine-waiter (in Nando’s perhaps). 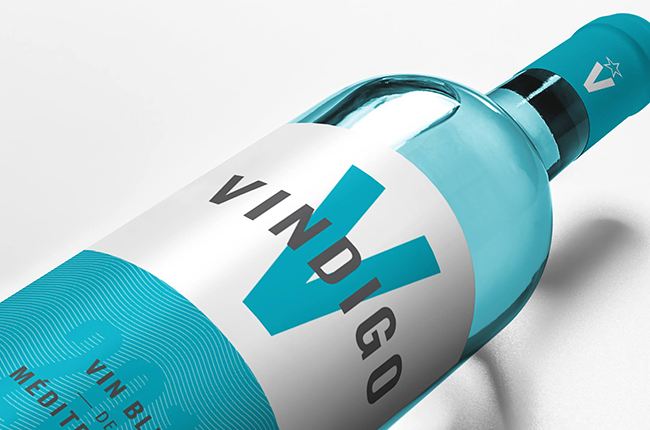 Renè Le Bail, a french entrepreneur, has created ‘Vindigo’ – a Chardonnay white wine which is put through a pulp of red grape skin – which then turns the wine blue. Mr Le Bail’s idea has not met with much enthusiasm among his french countrymen, so much so that he has relocated his production to Andalucia in Spain. He has ordered 35,000 bottles and is now selling his blue wine through an outlet in his hometown of Sète, where it sells for £10.70 per bottle. Allez les bleus!